To add Displacements you have to build this in to the Core shaders. Core shaders only do surface shading. If you want to add a texture displacement, use displacetyexture VOP. To build a single non-mixing shader, you add two output VOPs one of type surface and one of type displacement after the skinshadercore and displacetyexture. Add a Collect VOP and wire in the two outputs. You also have to add a Properties VOP. 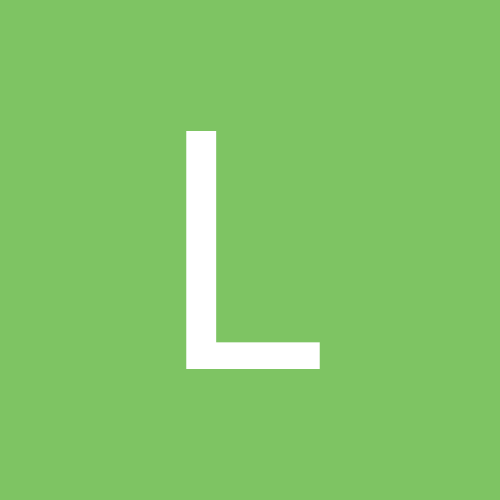 RMB (RightMouseButton) on the properties and choose Edit Render Properties. In the dialog that pops up, in the render property list, in the bottom search field type displace. 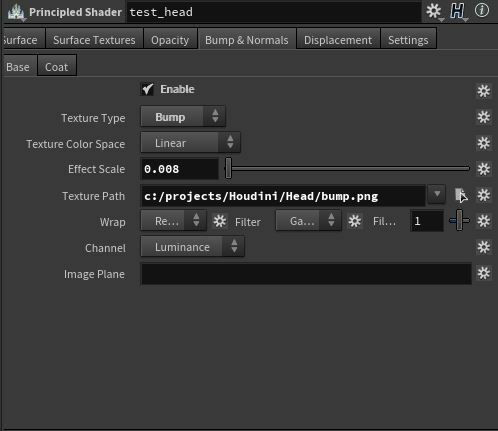 Then find the Mantra > Render and choose all the render properties as in the snapshot image. See the attached Houdini scene file for a working skinshadercore with displacements in /mat. I remember since I tried SitoA (Arnold for SOftimage) that the skin shader had a lot more controls for the primary and secondary specular, among which an IOR. Is this unnecessary in the shader implementation for PBR or there's a way to better control the Skin Shader Core's specular? I'm thinking the reason @axalon's tests look a bit off (seen here as well) is because of the loose ctrl over speculars. 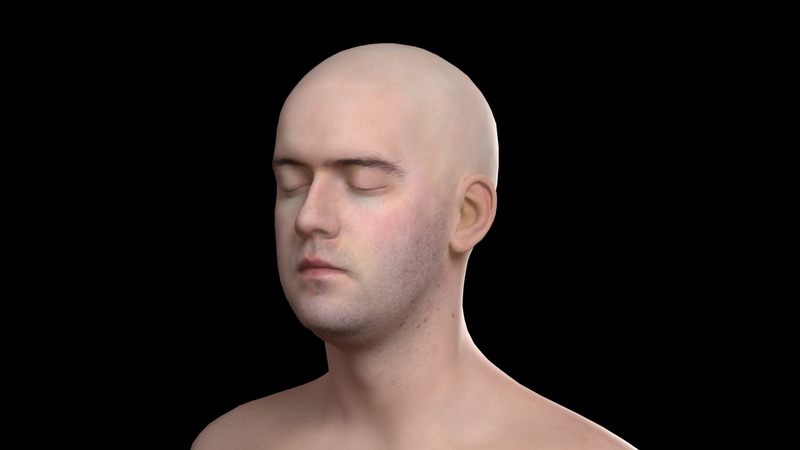 I'll contact someone over SI forums to see if I can procure a printscreen with the latest Skin shader in Arnold 5.
edit: seems not waiting was a good call, 'cause upon further digging, it seems that they've removed the skin shader in Arnold 5. 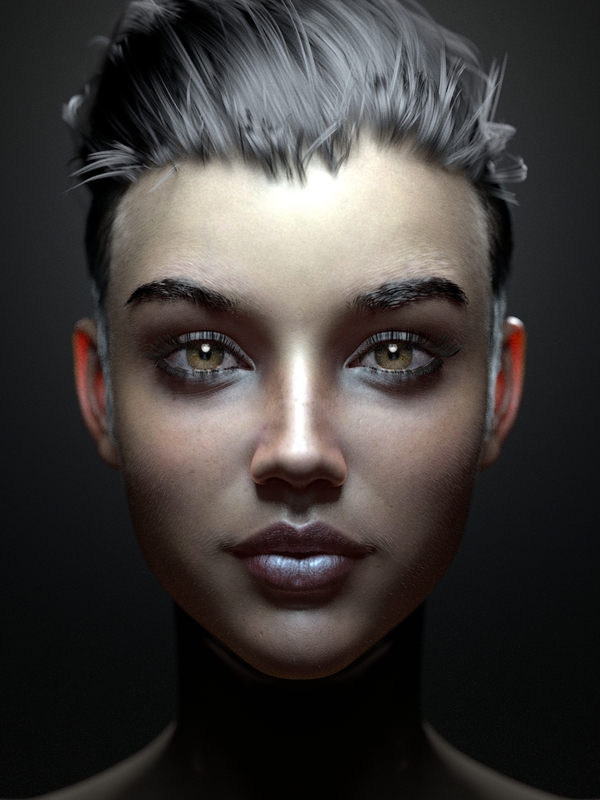 'edge factor' in Mental Ray's fast skin (and default reflection falloff in all variances of MIA) could be a kind of very simplified Fresnel effect, precisely number 5 is exponent of dot product of shading normal and negated eye direction. In H, that could be 'normal falloff' node with mentioned exponent of 5 (or a bit more or less), plugged into 'fit range' node, where 'destination min' and 'destination max' are facing - edge weight, all that used to fade the reflection. That's simplified but gives a cleaner control over reflection weights than 'true' Fresnel. With unmodified 'fit range', it's zero at facing and one at edge. 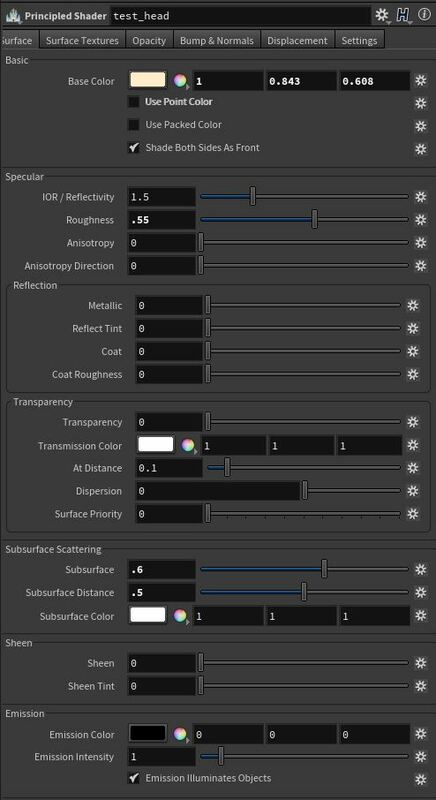 For subsurface shaders introduced in H 16 (honestly I don't know what is included in Principled thing), I'd definitively go to 16.5. 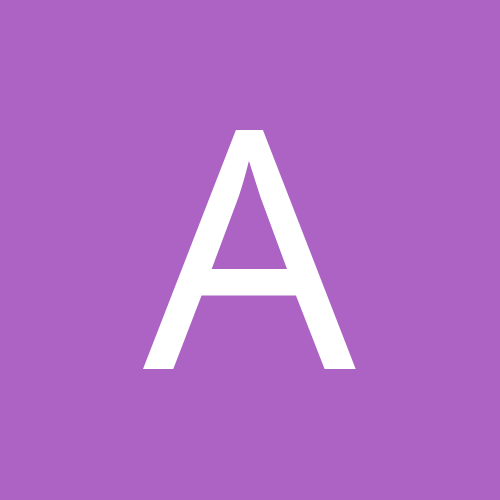 Ones in 16 are utilizing indirect rays (while in 16.5 this switched back to direct) - so, I'm afraid, everything you'll be able to get with 16.0 versions, could be a long forum thread about long render times, fireflies and such. Unfortunately, there is no control over reflection color and face-edge weighting in H Skin shader, which makes it close-to-unusable. Why is that, I have no idea. PBR story should not be excuse for such brutal approach, IMO. IOR/Fresnel is present, but without precise facing/edge weighting control. 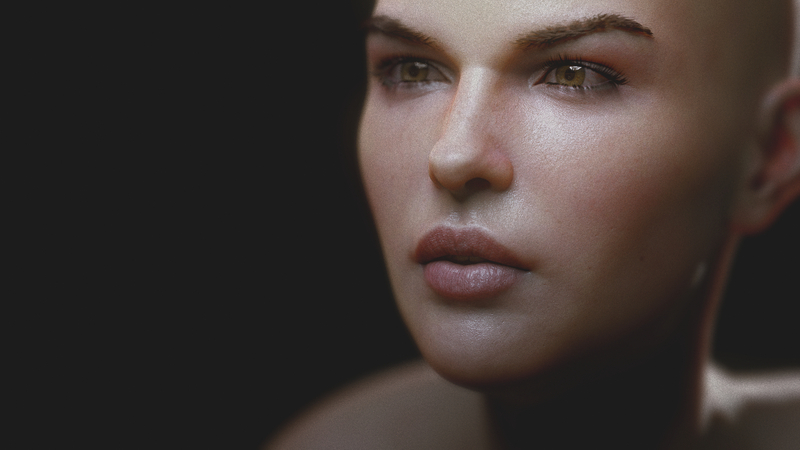 Regarding Mental Ray's fast skin, 'subsurface' is actually based on wild approximations, it's baked diffuse shading to vertices and blurred later, that's why there's need for three layers. Anyway, author had a great artistic talent to get a good look out of all that. One important 'artistic' element is under 'advanced' tab, it is screen blending of layers, not plain additive, which helps to avoid 'burning' with strong lighting. That's in short. Last few months I've played a lot with this subject , basically I was able to get what I wanted. However, solution probably is not suitable for sharing all around. Anyway, it's possible to re-create a 'Master Zap's style' of shader components mixing in H. If anyone wants this, I'll be happy to help. Yeah, I know some of those settings in the mi_fast_skin are wild approximations, it is the renderer's philosophy after all, I've posted that just to help my case, that there should be a bit more control in the SkinShaderCore (SSC). In H, that could be 'normal falloff' node with mentioned exponent of 5 (or a bit more or less), plugged into 'fit range' node, where 'destination min' and 'destination max' are facing - edge weight, all that used to fade the reflection. That's simplified but gives a cleaner control over reflection weights than 'true' Fresnel. With unmodified 'fit range', it's zero at facing and one at edge. And the falloff plugged in where exactly in the SSC? Or were you talking about how to control that aspect in general? I'm on 16.5, so no issue there. If anyone wants this, I'll be happy to help. That would be immensely appreciated from my part. I've just went full Mantra (new year resolution) and I've got a lot to catch up, so any leg-up is welcome. I'm optimistic about this project, as I see a lot of similarities with MR with its granular approach about creating shader trees and I'm also sure that SESI won't abandon Mantra like M-ray was by Mental images and then Nvidia. I'd try to post Houdini scene this weekend, based on wikihuman files. Regarding Lee Perry's head, I'd say, enough is enough :). First of all, this is not an universal skin shader, exact replica or anything like that, I just tried to put some typical 'contemporary' methods into network. It is a mix of PBR Diffuse, PBR Single Scatter ( introduced in 16.5), and two PBR Reflections. 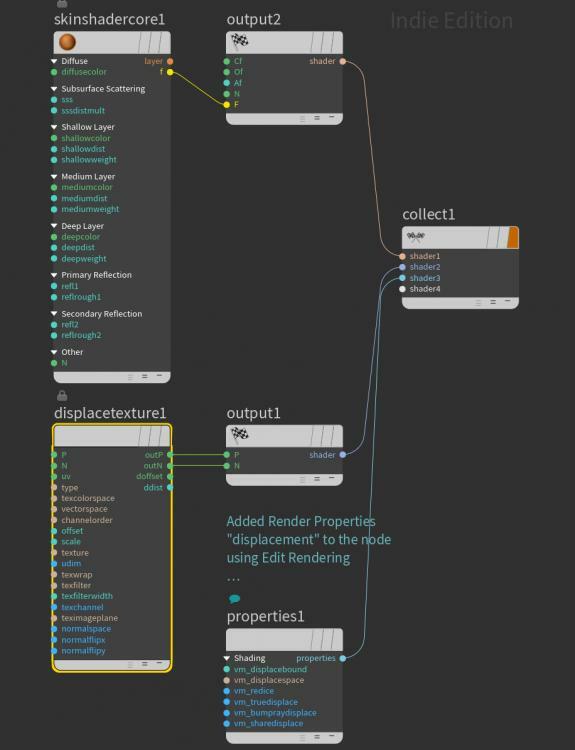 It should showing what is possible to do, feel free to experiment with nodes inside shader network. There's just one subsurface scattering shader in mix. Houdini PBR Single Scatter has all map-able attributes, like scattering distance or attenuation color (while in old Mental Ray's Fast Skin, blurring radius is not) - things like exaggerated back scatter around ears or variances in attenuation color, are performed by simple trick: point color is used as mask for modulation. One SSS shader should be much faster to render than three, obviously. So at the end of the day, only typical Mental Ray's Fast Skin feature is screen blending of layers. I added switches between screen blend and plain additive. - Diffuse and SSS tint: that's 'modern' method, to multiply diffuse and SSS texture by complementary color, diffuse in light blue, SSS in orange. Overall is nearly the same as original color of texture, while complementary colors are there to get stronger diffuse - SSS difference. - Diffuse and SSS power: actually a gamma value, 1 is original, more than 1 is exaggerated darker color. - Diffuse and SSS Weights: for more of 'old paintings' style, feel free to raise the SSS weight. 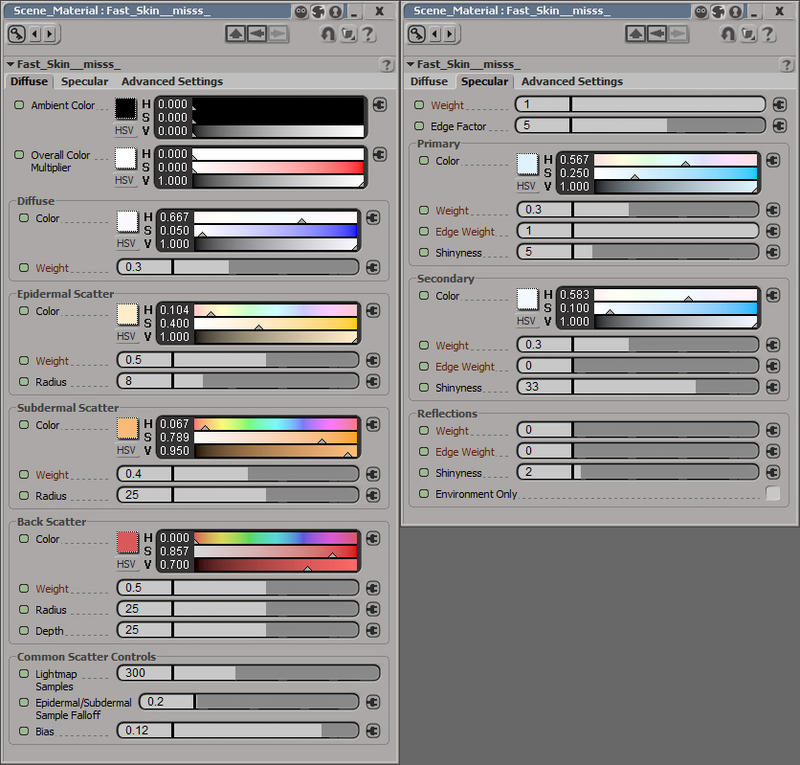 - Screen blending, Diffuse vs SSS, Reflections vs Diffuse and SSS: feel free to disable them just to see what happens. Nice side effect of screen blend is clumping of maximum direct lighting ( inside shader I set this to 1.25), making it easier to sample by Mantra. - Two reflections, first is wide, it acts more like additional diffuse shading. Second is sharp, intentionally disabled at edges. Bu some convention, shading model is set to Phong, as Phong does not fade the wide reflections (contrary to GGX) - so somehow Phong fits better, here. Any reflection parameter is a subject for tweaking, except maybe just one: in case of skin, it's always blueish tone, AFAIK that's natural effect of exaggerating the complementary reflection color in case of scattering media, something not automatically set by layered shading used in renderers like Mantra. Regarding wikihuman files, I've reduced resolution of bitmaps to make a smaller download, also I've used only three maps: diffuse color, specular color, and main displacement. Get files (around 30 Mb) there. That looks good man. A lot better than what I've seen done with the default skin shader core. Thank you very much for this file, it renders pretty fast i've never seen such speed vs result. i've added a texture to control Cd for scattering, some displacements, Normals everywhere i can, and parameters for color correct the diffuse and the scattering texture. I've come to the wikihuman website trying to find "papers" about this "contemporary" approach for skin shading : with no luck, do you have a link to further information about that ? 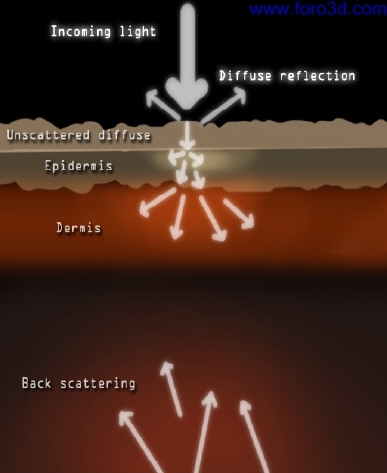 it is used in the mix of Diffuse with SSS and in the mix of Diffuse+SSS with Reflexion but what is it doing and why ? I come from this approach from within Octane Render (img4) with 3 SSS and 2 reflexions : is it the approach that's not relevant anymore ? i mean not the "contemporary" way to do it ? How did you get to -0.1 float number in the phase ? 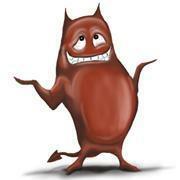 sorry for late answer. Thing in img6 is a bit modified screen blending, widely used in compositing software, Photoshop and such. This one is a bit modified, to allow the result to go over RGB 1, here the maximum is 'pedestal' value. Of course this is completely arbitrary approach, there's nothing physically plausible, however as far as I know, default 'energy conservation' in Mantra shaders doesn't looking much smarter, I think this is clamp of everything to max of diffuse result, or something like (at least in times of H 16, don't know what happened later). Screen blending as mixing mode, is inspired by old, quick Mental Ray shaders from 2006 or so, well known Fast SSS. What screen blending is doing in practice, is a provided 'pedestal' as maximum, even with insane strong light, let's say lighting coming from extraterrestrial ship. It won't burnt into yellow or red, it will stay exactly at 'pedestal'. That's only smart part here, I'd say. Color used for SSS (thing coming from nowhere) is just a variance of skin color, slightly more saturated, so nothing important about that. Just wanted to have a bit extra control. The rest, like putting some results into Ce, is a bit of desperate trial to skip 'not so mixable' F.
Regarding SSS functions, phase or so, what's provided by Mantra shader, probably pbrsss, that's what you have here, all the rest is mixing. The results i got so far with this shader : downside of the nose the shadow to up upper lips is not having enough saturation, like we would get in a real shot : a bit redish. The shadow is looking like a diffuse shadow without sss. Is there a workaround ? 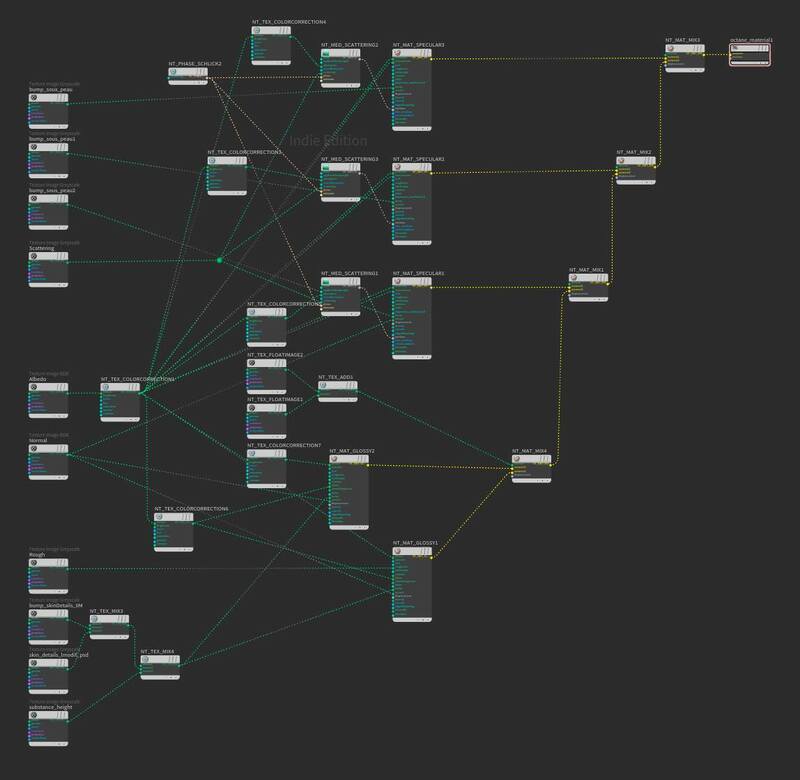 or did i missed something in the shader params ? (if i remember it goes from 15 mn with your shader to 6h30mn with the one i tried > yes : no comment). I guess there is no solution that would be both looking real and fast to render. By the way : do you know the difference between raytraced and pathtraced sss : i tried to anderstand the difference (google) but couldn't get a clear explanation of that.